In the mobile application store, you can find a wealth of free services to exchange messages, the success of which is often taken to judge by the number of active users. 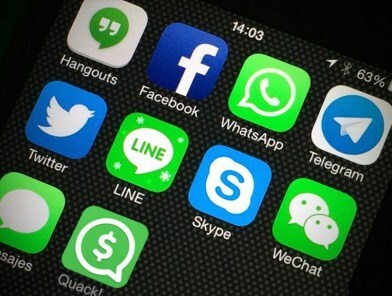 The most popular messenger is considered WhatsApp, monthly active users whose base is 900 million. But judging by profits, then the application is not in the lead with the largest number of customers. According to a report at the conference Activate WSJD Live, Asian messengers earn several times more than their American counterparts. The report says that Chinese WeChat receives $ 7 per user, KakaoTalk earns $ 4.24, and Line – $ 3,16. For comparison, the same WhatsApp gets only $ 0.06 per user, Viber – $ 0,01, and Facebook Messenger, and do not bring any profit. This means that WeChat a user base of 600 million earns about $ 4.2 billion, Line with their 200 million users generate 623 million dollars, and WhatsApp brings 54 million dollars. The success of Asian messengers due to the fact that they sell a variety of stickers, and built-in applications and games. WhatsApp although it has a paid subscription, but to compete against the background of such a system simply can not. The Facebook Messenger were previously toll stickers, but now they have become free. Activate assures that the messengers have become the fastest growing area of ​​digital history. According to forecasts, by 2018 the user base of these services will increase by 1.1 billion new users.